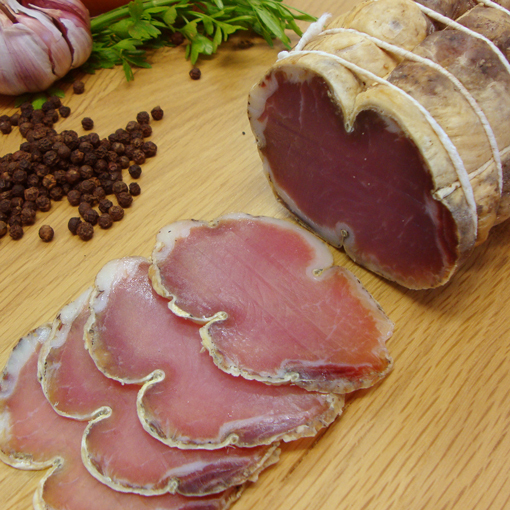 The pork part used to make lonzino is taken from the rack up to the loin and tail, therefore the same cut as the pork chine. 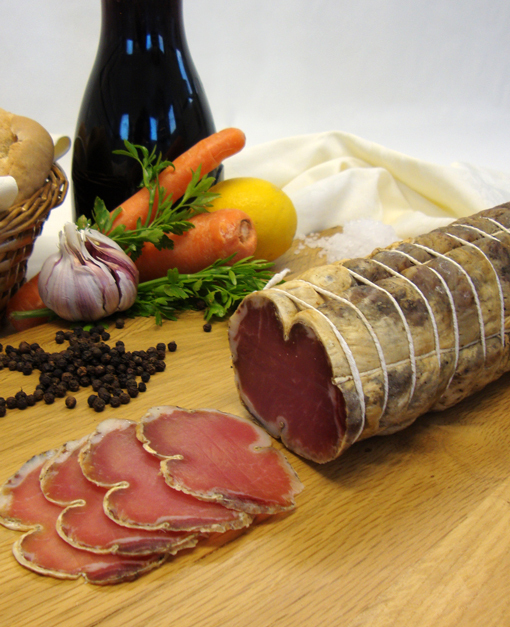 The lonzino slice is rather pinkish in colour, with a thin layer of lard on the outer part, and to the palate it is pleasantly savoury, tender and lean. (Ingredients: pork, salt, pepper, aromatic herbs and spices).